As our houses are filling up with gifts for the holidays, it’s a good time to think about home security to keep our homes safe from burglaries and just provide some extra peace of mind. Because waking up Christmas morning to no presents under the tree would be a real bummer. Fortunately, tech is becoming increasingly flexible and mobile, giving us so many cool DIY options for monitoring our homes, without the investment of a huge home security company’s system. 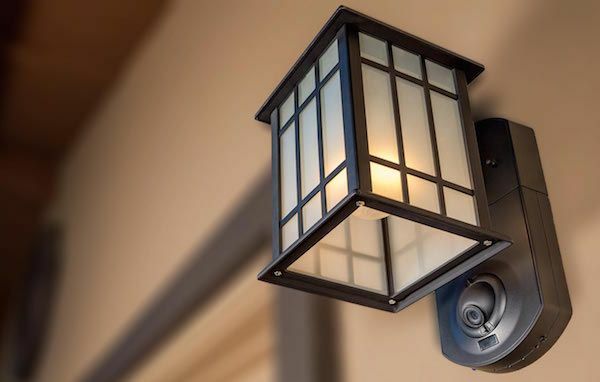 There are pros and cons to each of these home security devices, which I’ll get into below, but we’ve found some good, affordable DIY home security systems that are great options for families who want an extra layer of protection, any time of year at all. The Sentri is a beautiful, square, touch-screen device that can sit unobtrusively on a counter or hang on the wall, and most of the time it just looks like a clock. And is a clock. But when it’s set to away mode, it detects movement in your home and can capture extremely clear photos and video of whatever is happening. But, more importantly, it sends an alert to your phone, so you can see what’s going on and call the police if necessary. Of course, there are less ominous — and probably more frequently helpful — uses too. 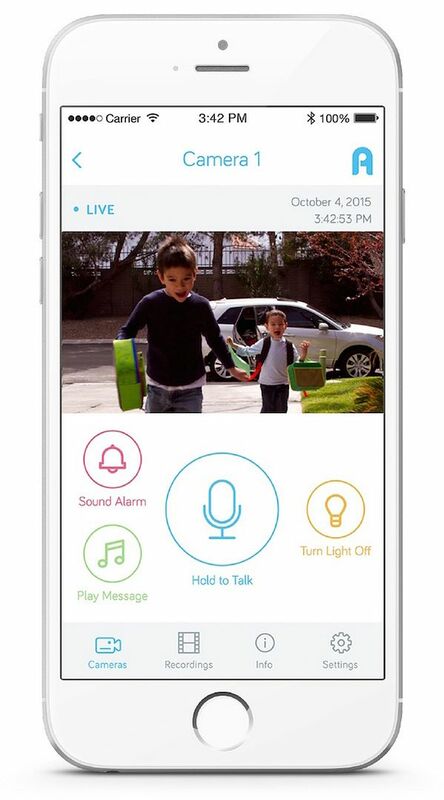 You can view the real time video of your home through the app, which would be handy if you want to check that your tweens are fine at home while you run a quick errand down the block, or peek in on the sleepover that’s happening in the kids’ room while you’re hiding out in your bedroom. It’s even got night vision for nighttime monitoring. And you can install multiple Sentri monitors all controlled from the single app. Sentri also monitors your air quality, temperature, and humidity — which is kind of interesting, but isn’t something I find the urgent need to stay on top of that much. Though I could see monitoring temperature while you’re away on a ski vacation, should there be a heating system failure that could lead to burst pipes and other major damage. 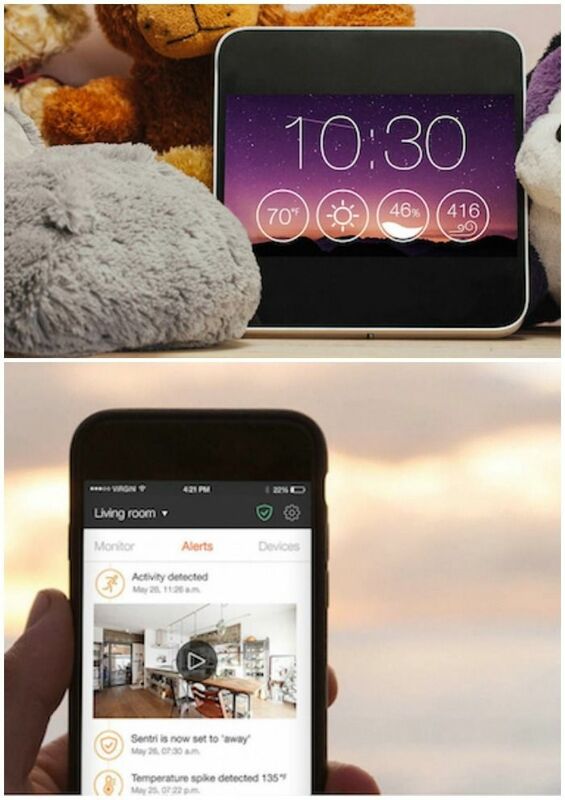 The more helpful feature is the ability to connect other smart devices in your home — like lights or a thermostat — through the app, so you can manage everything from one place. That is pretty handy. Just know there are some subscription fees if you want more functionality. The free version gives you 12 hours access to video history, alerts, and an events timeline which are all stored online. After that, you can spend between $9.99 and up to $99.99 a month (whoa) to access even more video history, up to a full year. But early consumers are thrilled with the Sentri so far, and especially with the frequent improvements made with software updates. With mail carriers just dropping off packages on the front porch this time of year, the Kuna lamp (also, photo at top) is a really helpful device to make sure your stuff doesn’t get stolen. The camera is built in to the Kuna wall sconce which comes in several styles, where people wouldn’t think to look for it. 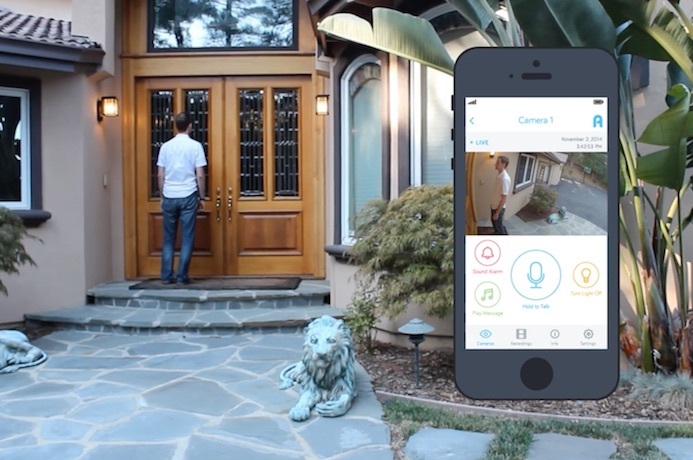 Like the Sentri, it detects movement at your door and sends and alert to your smartphone. If someone is grabbing a package, the HD camera will catch it because it’s on 24/7. But even better, you can activate siren from your app. That will scare the you-know-what out of them. Of course, there are more day-to-day uses for the Kuna Lamp, too. You can see that your kids got inside safely when the bus dropped them off. You can switch on the light when you’re getting home later than expected. Or you can check to see who is at your door, and then use the app talk to them (through the speaker on the lamp) instead of having to open the door to a stranger. If you’re interested more in whole-house protection, but without the monthly monitoring fees, we’ve found SkyLinkNet to be a good option. From Skylink, a 25-year-old trusted security system company, this is their DIY home security system, which means you’re installing — and monitoring — everything yourself. The starter kit includes everything you need to get started, except an iPhone or Android device, of course. When the system detects movement or one of the door sensors is activated, you’ll get an alert to your phone or tablet. It’s up to you then to call the police to have it checked it out. My favorite feature is that, even if you forget to turn the system on but you hear something in the house while at home (which is what happened to me once, yikes), then you can activate the siren from the key fob or right from the app. Since an intruder probably assumed they’d gotten access to your home without being detected, the likelihood is that this will surprise them enough to run. Most burglars aren’t looking for confrontation; just a quick, easy hit, and this can help prevent that.